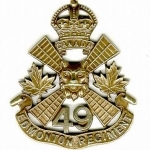 The Loyal Edmonton Regiment is a Primary Reserve infantry unit of the Canadian Forces. 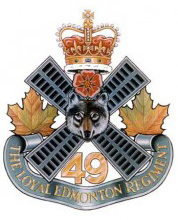 The “Loyal Eddies” are part of 41 Canadian Brigade Group, 3rd Canadian Division, and are located at Jefferson Armoury in Edmonton, Alberta. As a Primary Reserve unit, service is voluntary and for an indefinite period of time. Reservists are enrolled to serve on a part-time basis but they may volunteer for full-time employment in the Canadian Forces. While serving in a reserve unit, most reservists have full-time careers in a wide range of civilian occupations or are full-time students. 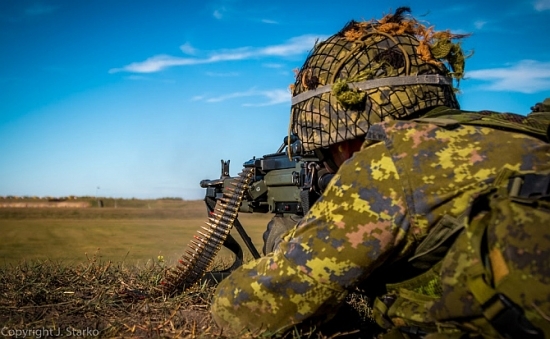 As an infantry unit, our main focus is to provide trained infantry soldiers to meet the operational requirements of the Canadian Forces. Training is done both locally and at various training centres across Canada. The training is challenging and rewarding and prepares the soldiers to react to difficult situations both at home and abroad. We ended the training year with an awesome live fire platoon ambush. There was a wide range of light and heavy weapons to neutralize the enemy convoy.